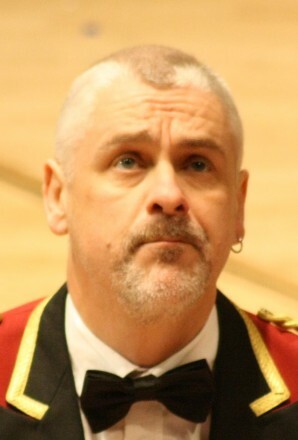 Cory Band are delighted to announce the signing of Steve Stewart on Soprano Cornet. Steve was a stalwart of the Kirkintilloch Band for many years and has taken the decision to move full time to Wales. Steve has been playing Soprano for Tredegar recently and performed with them at the National Championships at the RAH. Bob Childs said, “I am delighted to welcome Steve to Cory. His experience and considerable talent will lift the Band on to a new plateaux in concert work and the contest field”. Austin Davies added, ”This is great news for the Band. We nearly signed him for the Open this year, I’m glad we got our man in the end”. Steve’s immeasurable contribution on the contest platform has gained him many solo prizes over the years. This year he was awarded best instrumentalist at the Grand Shield and the Soprano award at Brass in Concert. Commenting on his new position, Steve was quick to thank Tredegar and in particular, Ian Porthouse for the opportunity of playing with them and for their friendship over the past few months. He also wanted to thank everyone at the Kirkintilloch organisation for the many great years he spent with them. He stated that he wishes Tredegar and Kirkintilloch every success in the future. He added, ”I’m extremely excited about the many challenges ahead and the prospect of sitting Soprano for the great Cory Band”.